Whether your pre-owned Chevrolet Silverado 1500 is in need of a brake system repair, simple brake pad inspection or new brake pads, our service center is here for you. Schedule your competitively priced auto service right here on our website with help from our scheduling form. We'll confirm your auto maintenance and will review a comprehensive service estimate with you upon your arrival, being sure to account for any relevant service specials you can put to use. When you stay on top of your car's braking needs, you help to: Protect its resale value, Maintain its efficiency, Protect your original warranty Keep it up to its factory specifications. So, don't hesitate to visit our used car dealership near Newark and Clifton, New Jersey for the quality care your vehicle needs today! Amaral Auto Sales will cater to your vehicle's maintenance and repair concerns before updating your ride's service records, so that you can safely explore all that Lyndhurst has to offer. Get in touch with us to learn more about the brake services we provide! The BG Brake Service helps prevent unexpected failure on your vehicle's most important safety feature. Brake fluid is extremely hygroscopic (attracts moisture), which results in contamination, corrosion and a breakdown of the additives that protect brake system components. This causes shorter life for expensive brake calipers, master cylinders, pneumatic parts and brake lines. Some drivers notice a condition that feels like a spongy brake pedal. 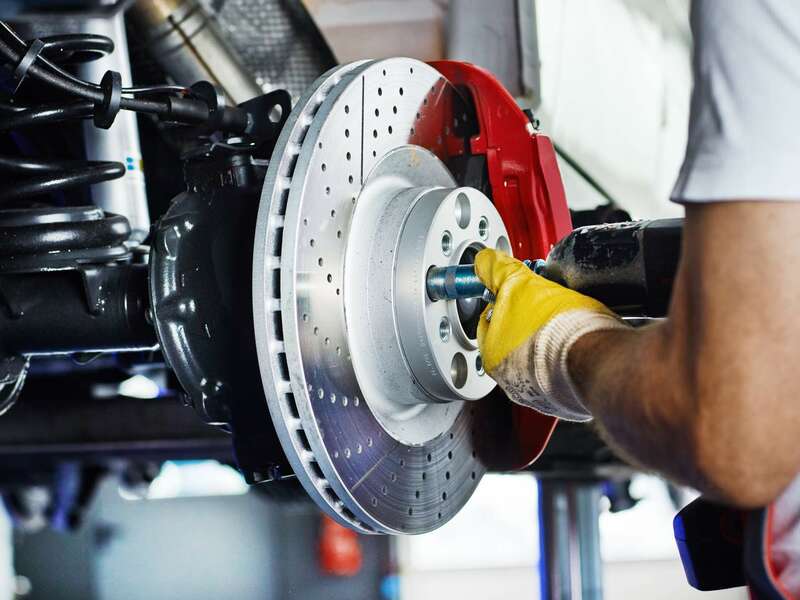 The BG Brake Service uses specialized equipment to quickly and effectively remove oxidized and corrosive fluid from the entire braking system. Specially formulated, demoisturized brake fluid is installed to help prevent corrosion. The entire braking system is inspected for leaks, damage and component wear. Your vehicle is then road tested to assure reliable, safe operation of the brakes. The BG Brake Service should be performed every 30,000 miles to maintain brake system safety and performance.